Women physicians are paid less than their male peers across medical specialties and geographies. While the medical literature to date has focused on documenting the existence of a wage gap, less attention has been paid to fixing this gap. We focus on interventions around auditing, salary transparency, family leave, and childcare that can be implemented to advance gender wage parity. The opinions expressed are those of the authors and do not reflect the views of the National Center for Ethics in Health Care, the Department of Veterans Affairs, Massachusetts General Hospital, or Harvard University. Doximity Second Annual Physician Compensation Report. Doximity, 2018. Available at: https://www.doximity.com/careers/compensation_report?_csrf_attempted=yes&_remember_me_attempted=yes. Accessed 23 January 2019. Workplace Gender Equality Agency, Australian Government. Guide to gender pay equity. Available at: https://www.wgea.gov.au/sites/default/files/documents/guide-to-gender-pay-equity.pdf. Accessed 23 January 2019. Fost D. UCSF Faculty Salary Equity Review Finds Few Gender-Based Inequities. UCSF News Center. February 12, 2016. Available at: https://www.ucsf.edu/news/2016/02/401571/ucsf-faculty-salary-equity-review-finds-few-gender-based-inequities?utm_source=feed&utm_medium=rss&utm_campaign=Feed%3A+UCSF+News. Accessed 23 January 2019. 2014 Report on Johns Hopkins University School of Medicine Faculty Salary Analysis, Fiscal Year 2013. Available at: https://www.hopkinsmedicine.org/som/_documents/2014_faculty_salary_analysis.pdf. Accessed 23 January 2019. Chamberlain A. How to Analyze Your Gender Pay Gap: An Employer’s Guide. Glassdoor. April 2017. Available at: https://www.glassdoor.com/research/app/uploads/sites/2/2017/04/GD_Report_AnalyzingGenderPayGap_Rebrand.pdf. Accessed 23 January 2019. Gesensway D. Gender Gap in Hospital Medicine: Do Women Have the Same Opportunities? Today’s Hospitalist. March, 2016. 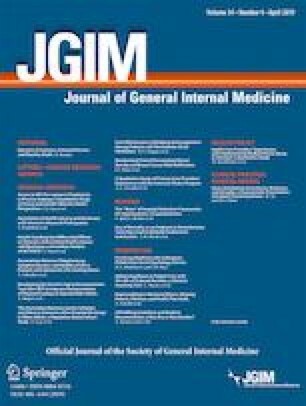 Available at: https://www.todayshospitalist.com/Gender-gap-in-hospital-medicine-Do-women-have-the-same-opportunities/. Accessed 23 January 2019. Gascoigne J. Introducing Open Salaries at Buffer: Our Transparent Formula and All Individual Salaries. Buffer. December 19, 2013, updated August 27, 2018. Available at: https://open.buffer.com/introducing-open-salaries-at-buffer-including-our-transparent-formula-and-all-individual-salaries/. Accessed 23 January 2019. Babcock L, Laschever S, Gelfand M, Small D. Nice Girls Don't Ask. Harv Bus Rev 2003. Available at: https://hbr.org/2003/10/nice-girls-dont-ask. Accessed 23 January 2019. Marçal K. Sweden shows that pay transparency works. Financial Times. July 27, 2017. Available at: https://www.ft.com/content/2a9274be-72aa-11e7-93ff-99f383b09ff9. Accessed 23 January 2019. Griffis H. On the Journey to Equal Pay: Here’s Exactly What Men and Women Earn at Buffer. Buffer. April 4, 2017, updated April 10, 2018. Available at: https://open.buffer.com/equal-pay/. Accessed 23 January 2019. Lam B. When Everyone Knows How Much Everyone Else Is Paid. The Atlantic. March 28, 2016. Available at: https://www.theatlantic.com/business/archive/2016/03/pay-transparency-gender-gap/475683/. Accessed 23 January 2019. Cain A, Pelisson A, Gal S. 9 places in the US where job candidates may never have to answer the dreaded salary question again. Business Insider. April 10, 2018. Available at: https://www.businessinsider.com/places-where-salary-question-banned-us-2017-10. Accessed 23 January 2019. Kleven H, Landais C, Sogaard J. Children and Gender Inequality: Evidence from Denmark. NBER Working Paper 24,219. Available at: https://www.nber.org/papers/w24219. Accessed 23 January 2019. Cain Miller C. The Gender Pay Gap Is Largely Because of Motherhood. The New York Times. May 13, 2017. Available at: https://www.nytimes.com/2017/05/13/upshot/the-gender-pay-gap-is-largely-because-of-motherhood.html. Accessed 23 January 2019. Feintzing R. The Case for Day Care at the Office. The Wall Street Journal. September 26, 2016. Available at: https://www.wsj.com/articles/the-case-for-day-care-at-the-office-1474882201. Accessed 23 January 2019. Marcario R. Patagonia’s CEO Explains How to Make On-Site Child Care Pay for Itself. Fast Company. August 15, 2016. Available at: https://www.fastcompany.com/3062792/patagonias-ceo-explains-how-to-make-onsite-child-care-pay-for-itself Accessed 23 January 2019. Berg S. At Stanford, Physician Burnout Costs at Least $7.75 Million a Year. AMA Wire. November 17, 2017. Available at: https://wire.ama-assn.org/life-career/stanford-physician-burnout-costs-least-775-million-year. Accessed 23 January 2019.